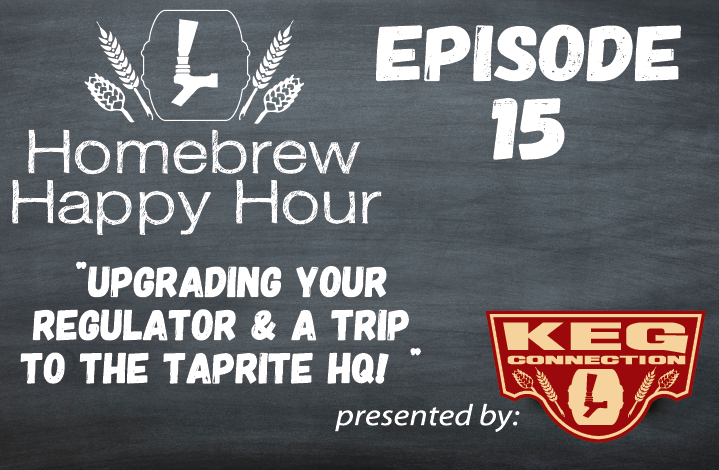 It’s our favorite time of the week because it’s another fun episode of the Homebrew Happy Hour back in your life! This week, we come to you live from the Taprite HQ in beautiful San Antonio, Texas! Many of your homebrewers are already familiar with Taprite and their extremely high quality regulators and draft beer equipment so we were super excited to tour their HQ and interview Phillip Frazier (Engineering Manager) and Mark Wymore (Sales Engineer).